AIMinds, a hub for AI intellectuals, is coming to Gurugram with its fifth edition in collaboration with AnalytixLabs, Gurugram. 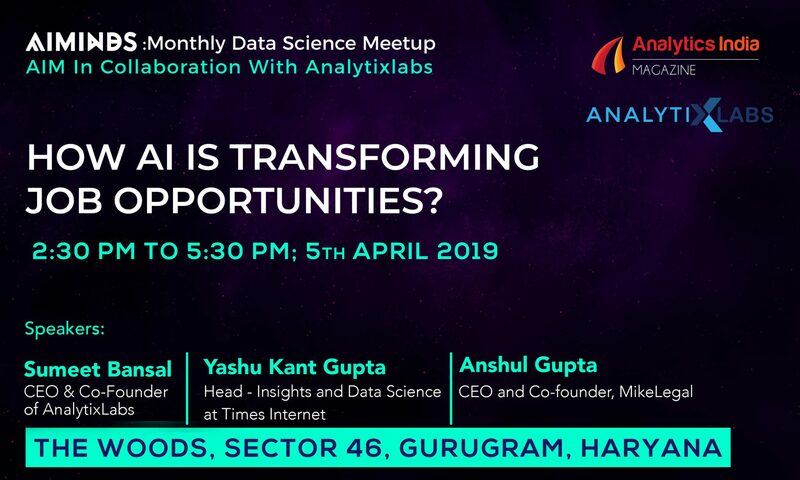 A venture by Analytics India Magazine, AIMinds is a monthly meetup which puts the common public and Data Science enthusiasts in touch with artificial intelligence practitioners and researchers from all over the country. Agenda for the meetup: How AI Is Transforming Job opportunities?